Another character that made its debut in S.H. 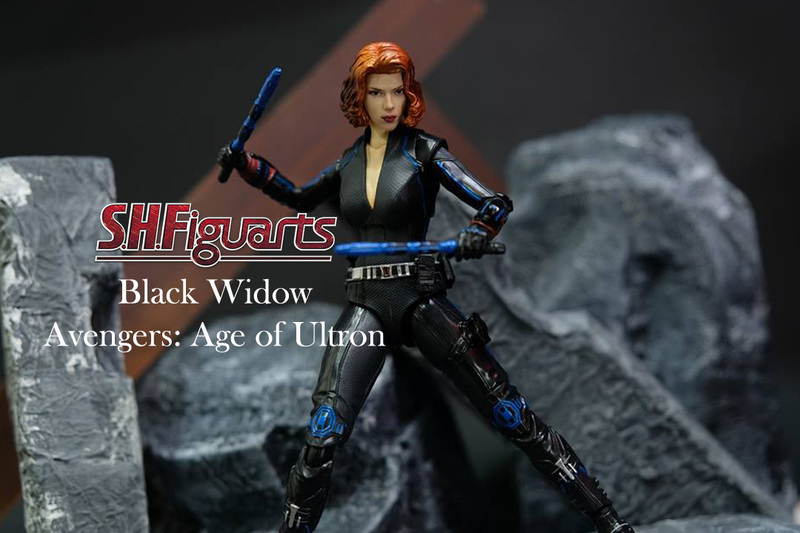 Figuarts is Black Widow based on the movie Avengers Age of Ultron. Being a female character, the figure has a slender form, a bit in scale with other male figuarts because of the platform boots. The zipper I think is too low even compared with official Marvel movie photos but I think it is not too much to make the little boys excited. Inside we have 8 extra hands, a pair of batons and 2 pistols. More to this from the video review below. 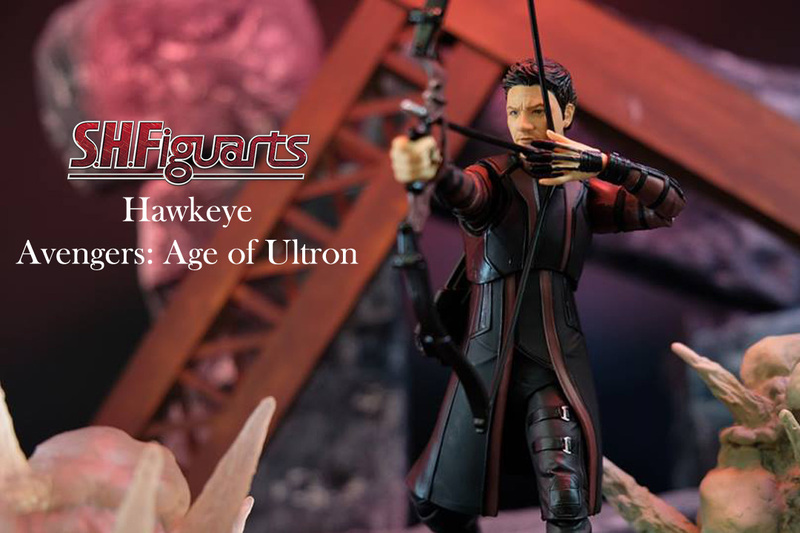 First version of Hawkeye released for S.H. Figuarts is from the 2nd Avengers movie subtitled Age of Ultron In this version, Hawkeye has a longer garb that almost passes knee length. Out the box, the arrows are already attached at the back of the figure and you can easily adjust by swinging left to right. You can also detach this if needed. He has 3 extra hand replacements for his left arm and a bow with the right hand attached and another version with the arrow molded together. Bucky Barnes makes his debut in the S.H. Figuarts line to fill in the gap of other missing characters in the MCU line up. 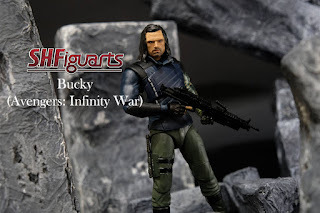 This version is the costume seen Avengers Infinity War and key features are his new arm with gold lines, a new blue garb and a hunting knife on the side of his leg. Bandai has brought us Falcon in full gear in S.H. Figuarts form. 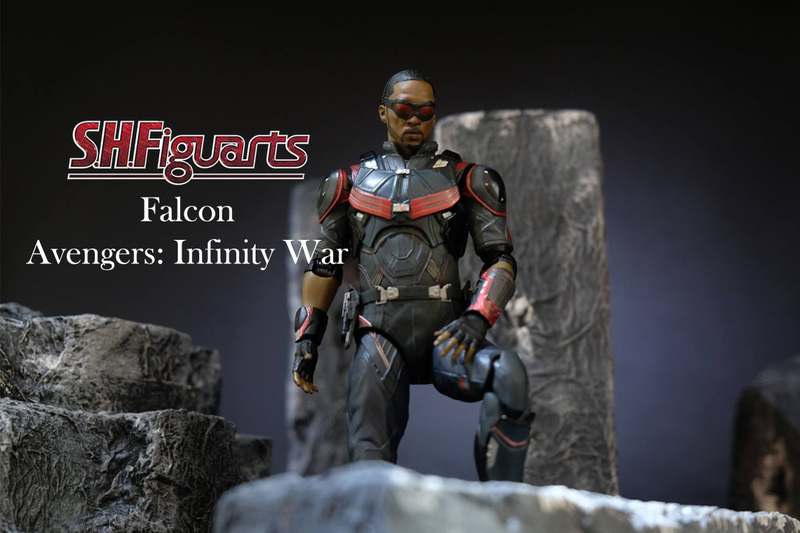 Out of the box, the default state of Sam Wilson aka the Falcon, there are no goggles but you would instantly see a familiar EXO-7 suit that he sported in Avengers Infinity War. Subtle things to note are his console on the left arm and a pad on the other. The set comes with 4 hands, 2 machine pistols and an alternative head.